The peer-elected Doris Duke Fellowships Leadership Committee met for the first time at Chapin Hall on February 5, 2019. The Committee members include: Kaela Byers (Cohort Three), Jackie Duron (Cohort Two), Megan Finno-Velasquez (Cohort Two), Leah Gjertson (Cohort Four), Bart Klika (Cohort One), Francesca Longo (Cohort Five), Alysse Loomis (Cohort Seven), Elizabeth Miller (Cohort Five), Lisa Schelbe (Cohort One), Maria Schweer-Collins (Cohort Eight), Jennifer Daer Shields (Cohort Six). The inaugural committee meeting focused on developing a leadership structure, identifying key priority activities, and establishing communications plans to develop the foundational structure necessary to sustain and deepen the mission of the fellowship. The Committee looks forward to continuing to spread the mission of the fellowship and support this important network of scholars. Contributions from all fellows are welcome and necessary to achieve this goal. Please share your feedback at any time with your cohort representative(s) or any member of the Leadership Committee. The Committee will also be soliciting feedback and volunteers for various activities during the 2019 Mid-Year Meeting in Phoenix next week. Keep an eye out for future opportunities to contribute your skills and talent to this important work. 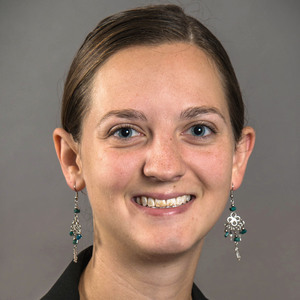 Assistant Professor at the University of Iowa School of Social Work, Dr. Aislinn Conrad collaborates with researchers from various disciplines including health policy, public health, political science, medicine, marriage and family therapy and biostatistics. Aislinn is currently working with her colleagues at the University of Iowa on a handful of projects, highlighted below. Aislinn and her collaborators are mapping material hardship and income poverty across Iowa, investigating the overlap between material hardship and income poverty, and comparing rates of material hardship in rural versus urban regions using a representative sample of families. This project examines trends related to shaken baby syndrome and hospitalizations related to child abuse and neglect. Using mixed methods, this project investigates how parental ACEs impact home visitors’ decisions to offer social and financial resources to families given the geographic context, and how the association between parental ACEs and home visiting impacts families. Because it is unclear how income versus material hardship affects child maltreatment outcomes in the field, this project included a systematic review on the temporal relation between economic insecurity on child maltreatment. Findings help clarify the important roles of both income and material hardship and also demonstrate how both employment and maternal depression mediate the association between economic insecurity and child maltreatment. Jennifer Daer Shields, Cohort Six, accepted a full time position as a Research Associate at the Center for Child Abuse and Neglect at the University of Oklahoma Health Sciences Center. Elizabeth Miller, Cohort Five, recently published an article from her dissertation in Early Child Development and Care on parental injury prevention. Kelley Fong, Cohort Six, recently published an article in Child Abuse & Neglect on neighborhood inequality and child maltreatment. Was recently named an Early Career Interdisciplinary Scholar by the Society for Research in Child Development (SRCD) and will be receiving the award at the Biennial Meeting in March. Published a paper on contraceptive sales following the Affordable Care Act in Maternal and Child Health Journal. J. Bark Klika, Cohort One, published two articles on violence against youth and identifying social norms associated with child abuse. Julia Fleckman, Cohort Six, published her paper on social norms and use of corporal punishment. Lindsay Zajac, Cohort Seven, collaborated with her academic advisor, Mary Dozier, and recently published an article in Development and Psychopathology on the attachment state of mind and child maltreatment.